We Didn’t Win the Super Bowl, But We Still Vacationed in Disney World! Fourteen years. 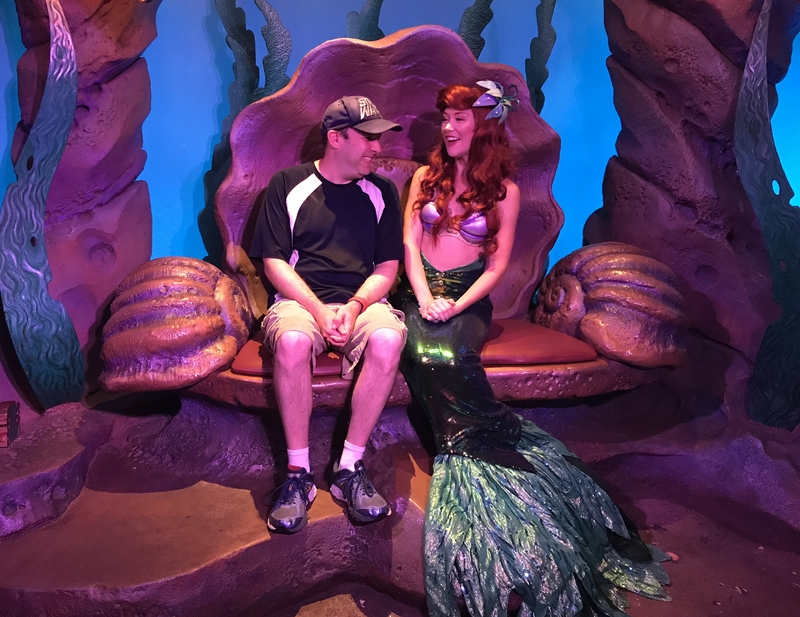 It took me 14 years to finally convince my wife to go to Disney World. Allie had gone when she was little, as had I. Epcot had just been built, in fact, the last time my parents took me and my sister on one looong road trip from New York to Orlando Florida. We still joke about all the “Stop at Pedro’s” billboards we saw along the way. My wife loves Disney, don’t get me wrong. Beauty and the Beast was “our movie” and we’ve seen just about every follow-up animated film since. Maybe it’s that we have two boys? Maybe it’s because we’ve really only gone on vacations we can drive to, such as last year’s awesome trip to Maine or Niagara Falls a few years prior? Yeah, I just don’t have it in me to drive all the way to Florida again. Whatever the case, we finally agreed that it was time our family took its first trip to Disney World. So we did! And yes, it was truly magical. Every summer we plan a vacation with Allie’s cousins Ivy and Ira (and their boys Matthew and Ethan). They’d been to Disney World a few times before so they were already on board. My boys love these cousins like brothers, so honestly, we could go to a wallpaper factory and the four kids would somehow have a blast. We figured Disney World was probably a bit more fun than that. 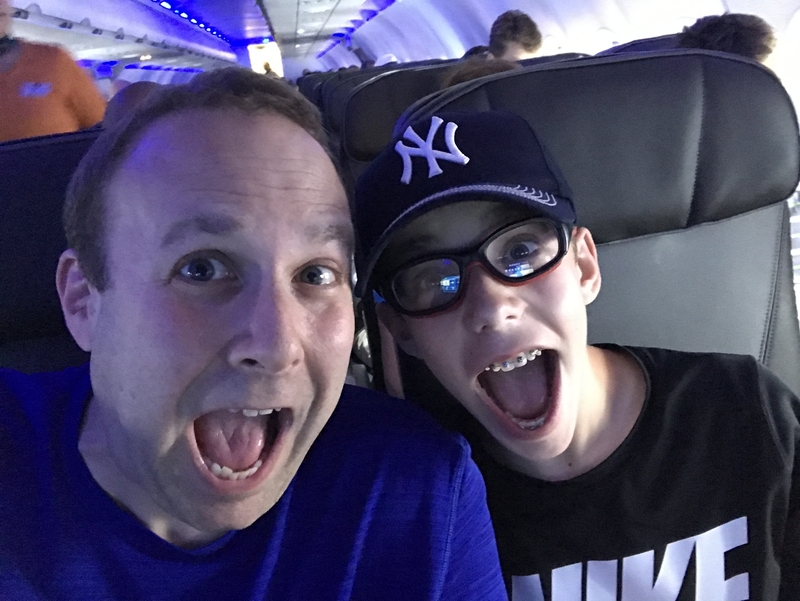 Ryan joins me for his first ever Airplane Selfie! The boys hadn’t been on a plane since they were little so it was really neat just seeing the two of them get excited over regular things such as a basic airport or the fact that we were flying up in the clouds. 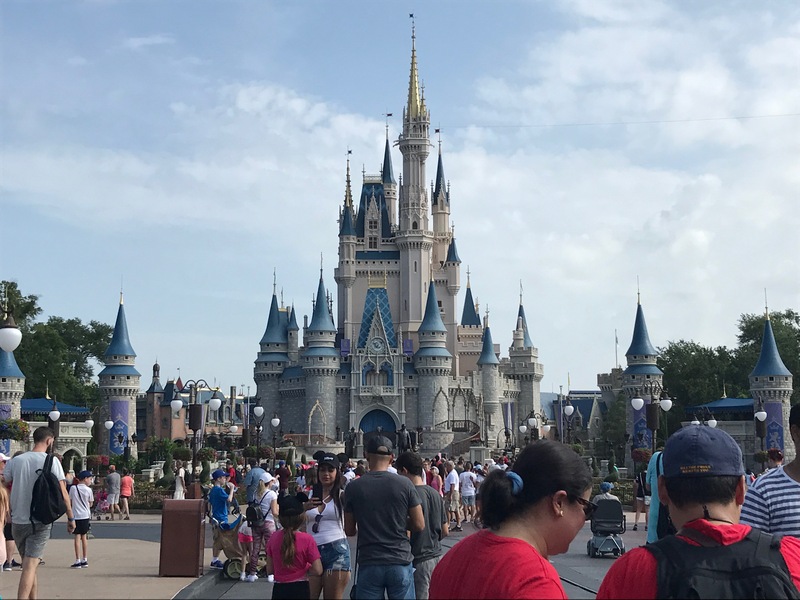 As for Disney World itself, the place is so ginormous that there’s no way I can do it justice with just one overview post. 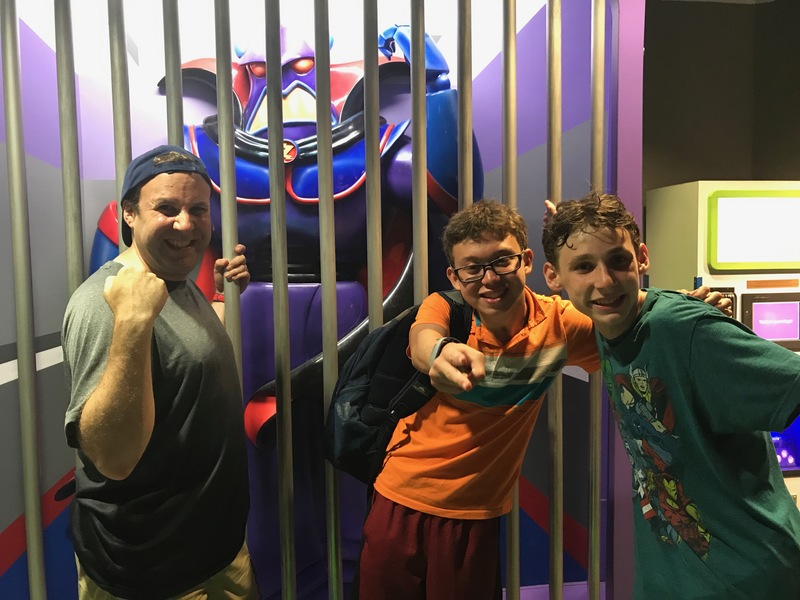 Me, Matt and Jason took down Emperor Zurg! The new Pandora section of Animal Kingdom is unreal. UNREAL! I met real Muppets (Hint: One kept saying, “Meep! Meep!”) at Epcot and nearly pushed a few kids out of the way as I raced over to them! The “Happily Ever After” 18-minute fireworks show at Magic Kingdom is worth the price of admission. I could see that every night! Minnie Mouse kissed me. In front of Mickey too. And I have photos to prove it! The infamous Dole Whip is everything you’ve heard and more! Mickey Mouse waffles are pretty darn tasty! My kids ate their body weight in popcorn! It was a long, exhausting vacation (we walked roughly 20,000 steps a day! ), but an insanely fun one at that. The only negative thing I can say is the weather was pure evil! It was in the high 90s for most of the time, with about a 50,000% chance of humidity. Not only did my blisters have blisters from all that walking, but my sweat was sweating. Two fish swim into a concrete wall. One turns to the other and says, ‘Dam!’ Get it? Do you get it? Sigh. I have about 1,300 photos to dig through and share. I figured I can pull up the old screen and slide projector or I can simply share it with all my awesome readers. So go get yourself a trough of popcorn and keep your eyes peeled for loads more Disney World magic coming your way! What’s your favorite Disney World Park? I never was to Disney world. Its a dream off ours to.go! The castle is beautiful. I’ve never been there before. 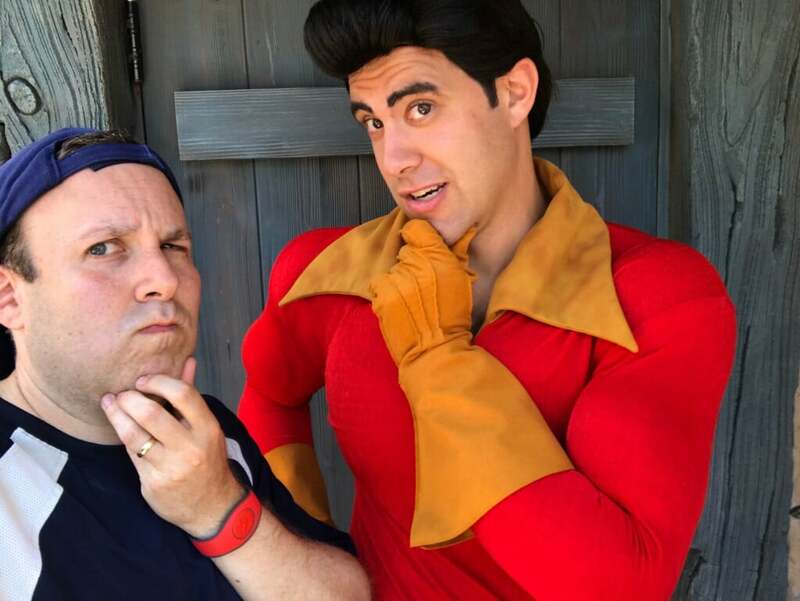 Niether myself or my husband has ever been to Disney, but I’d love to take my boys. I have two boys as well and have wondered if it would be too girly for them to get into. I’ve taken my oldest to Disney on Ice and it was pretty much princesses so I found it to be a disappointment. I’m glad to see you took four boys and they had fun!